You know those that claim global warming has stopped? Well, it seems that they are talking about boreal winter only. You know the climate models that can’t do anything right? Well, it seems that they should put tails on them. You know that the global warming has happened before? Well, it seems that also mass extinctions have happened before. We also have studies on Himalayan glaciers, Central America climate change rate, extreme weather in China, Russian 2010 heat wave, wind power density, Miocene climate optimum, Turkey corn, and climate sensitivity. Question of the week is: Do kangaroos in Australia affect the temperature trends? Citation: Cohen, J. L., J. C. Furtado, M. Barlow, V. A. Alexeev, and J. E. Cherry (2012), Asymmetric seasonal temperature trends, Geophys. Res. Lett., 39, L04705, doi:10.1029/2011GL050582. 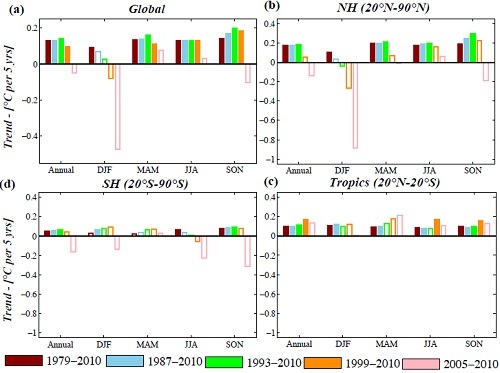 Citation: Ruff, T. W. and J. D. Neelin (2012), Long tails in regional surface temperature probability distributions with implications for extremes under global warming, Geophys. Res. Lett., 39, L04704, doi:10.1029/2011GL050610. Citation: Michael M. Joachimski, Xulong Lai, Shuzhong Shen, Haishui Jiang, Genming Luo, Bo Chen, Jun Chen and Yadong Sun, Geology, v. 40 no. 3 p. 195-198, doi: 10.1130/G32707.1. Citation: Jing Ming et al 2012 Environ. Res. Lett. 7 014021 doi:10.1088/1748-9326/7/1/014021. Citation: Alexander Correa-Metrio, Mark B. Bush, Kenneth R. Cabrera, Shannon Sully, Mark Brenner, David A. Hodell, Jaime Escobar, Tom Guilderson, Quaternary Science Reviews, http://dx.doi.org/10.1016/j.quascirev.2012.01.025. Citation: Chengjing Nie, Hairong Li, Linsheng Yang, Bixiong Ye, Erfu Dai, Shaohong Wu, Yi Liu, Yongfeng Liao, Quaternary International, http://dx.doi.org/10.1016/j.quaint.2012.02.029. Citation: Jones, R. N. (2012), Detecting and attributing nonlinear anthropogenic regional warming in southeastern Australia, J. Geophys. Res., 117, D04105, doi:10.1029/2011JD016328. Citation: Otto, F. E. L., N. Massey, G. J. van Oldenborgh, R. G. Jones, and M. R. Allen (2012), Reconciling two approaches to attribution of the 2010 Russian heat wave, Geophys. Res. Lett., 39, L04702, doi:10.1029/2011GL050422. Citation: J. Scott Greene, Matthew Chatelain, Mark Morrissey and Steve Stadler, Theoretical and Applied Climatology, DOI: 10.1007/s00704-012-0596-z. Citation: Herold, N., M. Huber, R. D. Müller, and M. Seton (2012), Modeling the Miocene climatic optimum: Ocean circulation, Paleoceanography, 27, PA1209, doi:10.1029/2010PA002041. Citation: Ömer Faruk Durdu, International Journal of Climatology, DOI: 10.1002/joc.3435. Citation: Olson, R., R. Sriver, M. Goes, N. M. Urban, H. D. Matthews, M. Haran, and K. Keller (2012), A climate sensitivity estimate using Bayesian fusion of instrumental observations and an Earth System model, J. Geophys. Res., 117, D04103, doi:10.1029/2011JD016620. Citation: Mitchell, J. Murray, 1953, J. Meteor., 10, 244–261, doi: http://dx.doi.org/10.1175/1520-0469(1953)0102.0.CO;2. 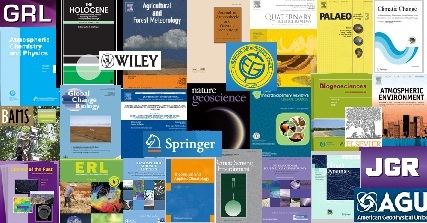 When each paper is published, it is notified in AGW Observer Facebook page and Twitter page. Here’s the archive for the research papers of previous weeks. If this sort of thing interests you, be sure to check out A Few Things Illconsidered. They also have a weekly posting containing lots of links to new research and other climate related news. This week we have studies on brook trouts, Antarctic Peninsula ice surface, cloud fraction, climate variables, wind, North Atlantic, heat waves, methane, China, precipitation, urban heat island, heat stress, Montana lakes, and sea ice. Citation: Dana R. Warren, Jason M. Robinson, Daniel C. Josephson, Daniel R. Sheldon, Clifford E. Kraft, Global Change Biology, DOI: 10.1111/j.1365-2486.2012.02670.x. Citation: Fricker, H. A. and L. Padman (2011), Thirty years of elevation change on Antarctic Peninsula ice shelves from multi-mission satellite radar altimetry, J. Geophys. Res., doi:10.1029/2011JC007126, in press. Citation: Qian, Y., Long, C. N., Wang, H., Comstock, J. M., McFarlane, S. A., and Xie, S.: Evaluation of cloud fraction and its radiative effect simulated by IPCC AR4 global models against ARM surface observations, Atmos. Chem. Phys., 12, 1785-1810, doi:10.5194/acp-12-1785-2012, 2012. 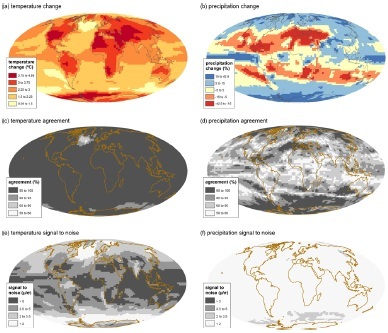 How to map climate variables and their uncertainties? Citation: Kaye, N. R., Hartley, A., and Hemming, D.: Mapping the climate: guidance on appropriate techniques to map climate variables and their uncertainty, Geosci. Model Dev., 5, 245-256, doi:10.5194/gmd-5-245-2012, 2012. Citation: Yang Xiaomei, Li Zongxing, Feng Qi, He Yuanqing, An Wenlin, Zhang Wei, Cao Weihong, Yu Tengfei, Wang Yamin, H. Wilfred Theakstone, Quaternary International, http://dx.doi.org/10.1016/j.quaint.2012.02.020. Citation: Stephen Yeager, Alicia Karspeck, Gokhan Danabasoglu, Joe Tribbia, and Haiyan Teng, Journal of Climate 2012, doi: http://dx.doi.org/10.1175/JCLI-D-11-00595.1. Citation: Ngar-Cheung Lau and Mary Jo Nath, Journal of Climate 2012, doi: http://dx.doi.org/10.1175/JCLI-D-11-00575.1. Citation: Ito, A. and Inatomi, M.: Use of a process-based model for assessing the methane budgets of global terrestrial ecosystems and evaluation of uncertainty, Biogeosciences, 9, 759-773, doi:10.5194/bg-9-759-2012, 2012. Citation: Li Qi and Yuqing Wang, Journal of Climate 2012, doi: http://dx.doi.org/10.1175/JCLI-D-11-00437.1. Citation: Noake, K., D. Polson, G. Hegerl, and X. Zhang (2012), Changes in seasonal land precipitation during the latter twentieth-century, Geophys. Res. Lett., 39, L03706, doi:10.1029/2011GL050405. Citation: Nina Schwarz, Uwe Schlink, Ulrich Franck, Katrin Großmann, Ecological Indicators, http://dx.doi.org/10.1016/j.ecolind.2012.01.001. Citation: Fischer, E. M., K. W. Oleson, and D. M. Lawrence (2012), Contrasting urban and rural heat stress responses to climate change, Geophys. Res. Lett., 39, L03705, doi:10.1029/2011GL050576. Citation: Brandi Bracht-Flyr, Sherilyn C. Fritz, Quaternary Research, http://dx.doi.org/10.1016/j.yqres.2011.12.005. Citation: Ridley, J. K., Lowe, J. A., and Hewitt, H. T.: How reversible is sea ice loss?, The Cryosphere, 6, 193-198, doi:10.5194/tc-6-193-2012, 2012. Citation: DOUGLASS, A. E., 1909: WEATHER CYCLES IN THE GROWTH OF BIG TREES. Mon. Wea. Rev., 37, 225–237. doi: http://dx.doi.org/10.1175/1520-0493(1909)37%5B225d:WCITGO%5D2.0.CO;2. Michael Mann has been a busy beaver this week – not only is there the book thing he’s doing, but he also managed to get his name on two of the papers here. So, Dr. Mann, with my unanimous decision, you are the scientist of the week! So the climate warms and Italian trees get their temperature signals all messed up (and even without the help from volcanos) and so does an Antarctic ice core. Playing with carbon cycle models or fiddling with old ocean measurements or counting U.S. temperature records (of which U.S. public probably don’t even care) don’t help. So we get our weather extreme and disaster analysis methods in shape and then we just sit back and wait. It won’t be long wait, though, as the aerosol forcing (from transportation for example) diminishes and GHG warming really starts to kick in fast. That’s air pollution control for you. Speaking about pollution control, we are just glad that British river dwellers are doing little bit better these days, partly due to toxic waste management. In middle all this, we are wondering if solar cycle affects Madden-Julian oscillation and if Bering Sea would get a nice swimming temperature, if we would double the CO2 in the air. Citation: Anna Coppola, Giovanni Leonelli, Maria Cristina Salvatore, Manuela Pelfini, Carlo Baroni, Quaternary Research, http://dx.doi.org/10.1016/j.yqres.2012.01.004. Citation: Brovkin, V., Ganopolski, A., Archer, D., and Munhoven, G.: Glacial CO2 cycle as a succession of key physical and biogeochemical processes, Clim. Past, 8, 251-264, doi:10.5194/cp-8-251-2012, 2012. Citation: Carton, J. A., H. F. Seidel, and B. S. Giese (2012), Detecting historical ocean climate variability, J. Geophys. Res., 117, C02023, doi:10.1029/2011JC007401. Citation: Visser, H. and Petersen, A. C.: Inferences on weather extremes and weather-related disasters: a review of statistical methods, Clim. Past, 8, 265-286, doi:10.5194/cp-8-265-2012, 2012. Citation: Kate E. Sinclair, Nancy A. N. Bertler, Tas D. van Ommen, Journal of Climate 2012, doi: http://dx.doi.org/10.1175/JCLI-D-11-00496.1. Citation: I.P. Vaughan, S.J. Ormerod, Global Change Biology, DOI: 10.1111/j.1365-2486.2012.02662.x. 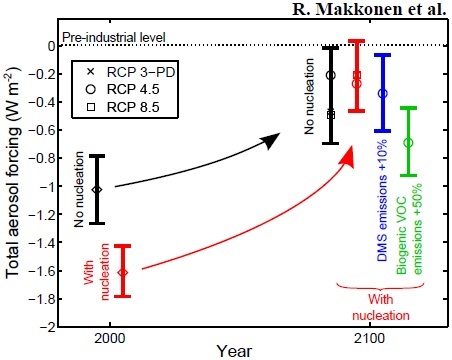 Citation: Makkonen, R., Asmi, A., Kerminen, V.-M., Boy, M., Arneth, A., Hari, P., and Kulmala, M.: Air pollution control and decreasing new particle formation lead to strong climate warming, Atmos. Chem. Phys., 12, 1515-1524, doi:10.5194/acp-12-1515-2012, 2012. Citation: Samuel S. P. Shen, Christine K. Lee, Jay Lawrimore, Journal of Climate 2012, doi: http://dx.doi.org/10.1175/JCLI-D-11-00102.1. Citation: Olivié, D. J. L., Cariolle, D., Teyssèdre, H., Salas, D., Voldoire, A., Clark, H., Saint-Martin, D., Michou, M., Karcher, F., Balkanski, Y., Gauss, M., Dessens, O., Koffi, B., and Sausen, R.: Modeling the climate impact of road transport, maritime shipping and aviation over the period 1860–2100 with an AOGCM, Atmos. Chem. Phys., 12, 1449-1480, doi:10.5194/acp-12-1449-2012, 2012. Citation: Hugues Goosse, Elisabeth Crespin, Svetlana Dubinkina, Marie-France Loutre, Michael E. Mann, Hans Renssen, Yoann Sallaz-Damaz and Drew Shindell, Climate Dynamics, DOI: 10.1007/s00382-012-1297-0. Citation: Hyun-Chul Lee, Thomas L. Delworth, Anthony Rosati, Rong Zhang, Whit G. Anderson, Fanrong Zeng, Charles A. Stock, Anand Gnanadesikan, Keith W. Dixon and Stephen M. Griffies, Climate Dynamics, DOI: 10.1007/s00382-012-1301-8. 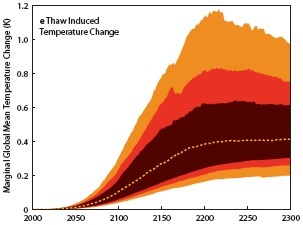 Citation: Robert J. Brulle, Jason Carmichael and J. Craig Jenkins, Climatic Change, DOI: 10.1007/s10584-012-0403-y. Citation: Elena Blanter, Jean-Louis Le Mouël, Mikhail Shnirman, Vincent Courtillot, Journal of Atmospheric and Solar-Terrestrial Physics, http://dx.doi.org/10.1016/j.jastp.2012.01.016. Citation: Michael E. Mann, Jose D. Fuentes & Scott Rutherford, Nature Geoscience, (2012), DOI: doi:10.1038/ngeo1394. Citation: Roger Revelle, Hans E. Suess, Tellus, Volume 9, Issue 1, pages 18–27, February 1957, DOI: 10.1111/j.2153-3490.1957.tb01849.x. Here is the new research published last week. I’m not including everything that was published but just some papers that got my attention. Those who follow my Facebook page (and/or Twitter) have already seen most of these, as I post these there as soon as they are published. Here, I’ll just put them out in one batch. Sometimes I might also point out to some other news as well, but the new research will be the focus here. Here’s the archive for the news of previous weeks. By the way, if this sort of thing interests you, be sure to check out A Few Things Illconsidered, they have a weekly posting containing lots of links to new research and other climate related news. Ozone has weekly lows and highs. Range shifts up north for butterflies. Cloud height tells us about falling skies. Open up Bering strait and the seesaw dies. Earthquakes cool groundwater unless it’s lies. but it was volcanism that started the age of little ice. Knowledge of pressure driven tsunamis makes us wise. Northern hemisphere is warming at a rate that is surprise. Does the India’s DTR increase disturb the production of rice? For climate permafrost carbon feedback is another warming slice. Citation: Schneider von Deimling, T., Meinshausen, M., Levermann, A., Huber, V., Frieler, K., Lawrence, D. M., and Brovkin, V.: Estimating the near-surface permafrost-carbon feedback on global warming, Biogeosciences, 9, 649-665, doi:10.5194/bg-9-649-2012, 2012. Citation: Ljungqvist, F. C., Krusic, P. J., Brattström, G., and Sundqvist, H. S.: Northern Hemisphere temperature patterns in the last 12 centuries, Clim. Past, 8, 227-249, doi:10.5194/cp-8-227-2012, 2012. Citation: Tom H. Oliver, David B. Roy, Tom Brereton, Jeremy A. Thomas, Global Change Biology, DOI: 10.1111/j.1365-2486.2012.02659.x. Citation: Hu, A., G. A. Meehl, W. Han, A. Abe-Ouchi, C. Morrill, Y. Okazaki, and M. O. Chikamoto (2012), The Pacific-Atlantic seesaw and the Bering Strait, Geophys. Res. Lett., 39, L03702, doi:10.1029/2011GL050567. Citation: Davies, R. and M. Molloy (2012), Global cloud height fluctuations measured by MISR on Terra from 2000 to 2010, Geophys. Res. Lett., 39, L03701, doi:10.1029/2011GL050506. Citation: Jenkyns, H. C., Schouten-Huibers, L., Schouten, S., and Sinninghe Damsté, J. S.: Warm Middle Jurassic–Early Cretaceous high-latitude sea-surface temperatures from the Southern Ocean, Clim. Past, 8, 215-226, doi:10.5194/cp-8-215-2012, 2012. Citation: Chi-yuen Wang, Michael Manga, Chung-Ho Wang and Chieh-Hung Chen, Geology, v. 40 no. 2 p. 119-122, doi: 10.1130/G32565.1. Citation: Šepić, J., I. Vilibić, and N. Strelec Mahović (2012), Northern Adriatic meteorological tsunamis: Observations, link to the atmosphere, and predictability, J. Geophys. Res., 117, C02002, doi:10.1029/2011JC007608. Citation: Pollack, I. B., et al. (2012), Airborne and ground-based observations of a weekend effect in ozone, precursors, and oxidation products in the California South Coast Air Basin, J. Geophys. Res., 117, D00V05, doi:10.1029/2011JD016772. Citation: Miller, G. H., et al. (2012), Abrupt onset of the Little Ice Age triggered by volcanism and sustained by sea-ice/ocean feedbacks, Geophys. Res. Lett., 39, L02708, doi:10.1029/2011GL050168. Citation: Rai, A., M. K. Joshi, and A. C. Pandey (2012), Variations in diurnal temperature range over India: Under global warming scenario, J. Geophys. Res., 117, D02114, doi:10.1029/2011JD016697. Citation: G. S. Callendar, Quarterly Journal of the Royal Meteorological Society, Volume 64, Issue 275, pages 223–240, April 1938, DOI: 10.1002/qj.49706427503. (This post was made for Skeptical Science, but I publish it here as well.) The Skeptical Science audience largely were not monitoring my new research of last week feature during last year (this is painfully obvious from the visitor counts of my blog), so I think a glimpse of that might be in order. One of the points highlighting some selected papers of last week is to show that climate science is cool. Therefore I decided to make a selection of cool climate papers of last year. While I’m browsing through new climate related science and looking at certain research paper, I frequently think that this is cool. Below you can see some of the studies from last year I thought were cool. There is one paper for each week and I have subjectively decided which is the coolest paper of that week. I won’t listen to complaints but you are welcome to show your own selections.